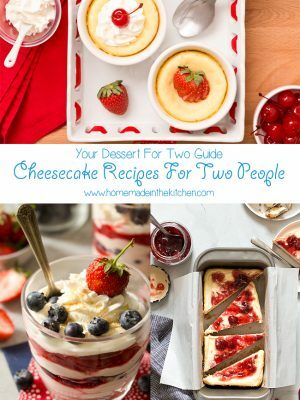 A comprehensive dessert for two guide about Cheesecake Recipes For Two People made in 9×5 loaf pans, 6 ounce ramekins, 4 inch spring form pans, cupcake pans, and more. Cheesecake is a dessert I’ve been blogging since the beginning of time (or 2007, when I started). 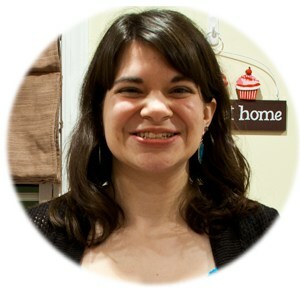 Once upon a time I used to be known as the Cheesecake Queen among my friends. However, I cut back on cheesecake recipes when I decided to solely focus on small batch recipes and recipes for two. 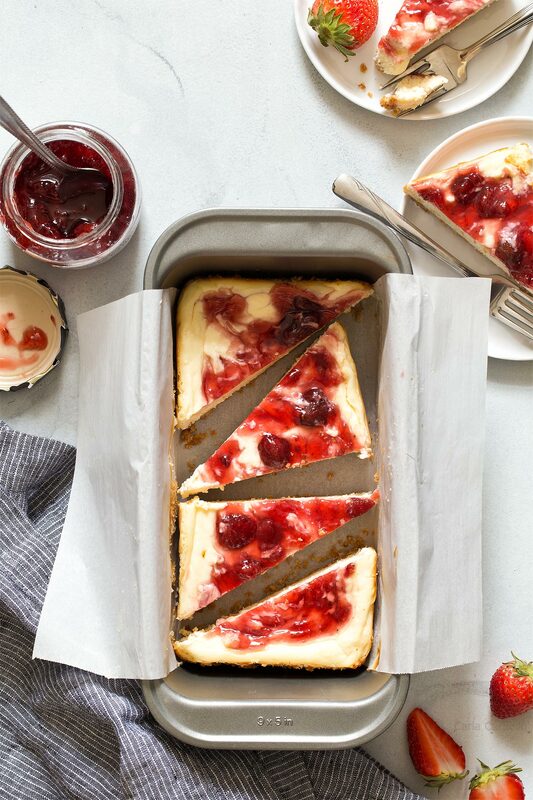 As I played around in the kitchen, I discovered ways to give you cheesecake for two, such as using loaf pans, 4 inch springform pans, and 6 ounce ramekins. Since I have so. Many. Recipes. from the past 12 years (and counting! 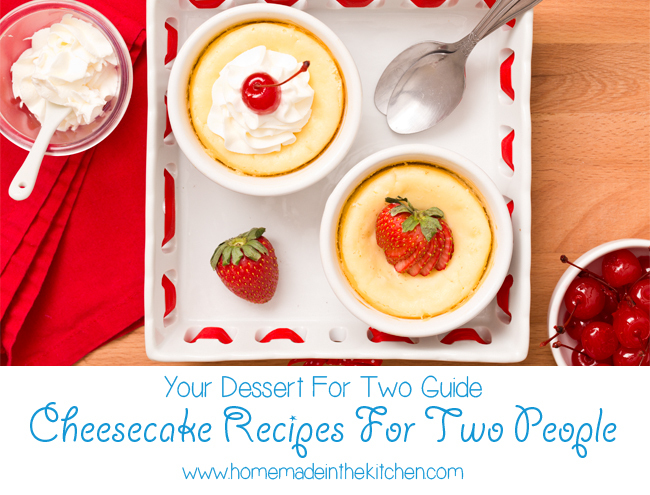 ),I wrote a comprehensive dessert for two guide called Cheesecake Recipes For Two People. 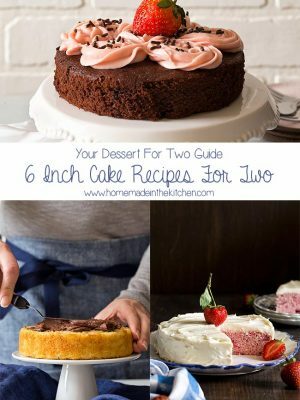 I rounded up all of my cheesecake for two recipes by pan size so you don’t have to go digging through my archives. 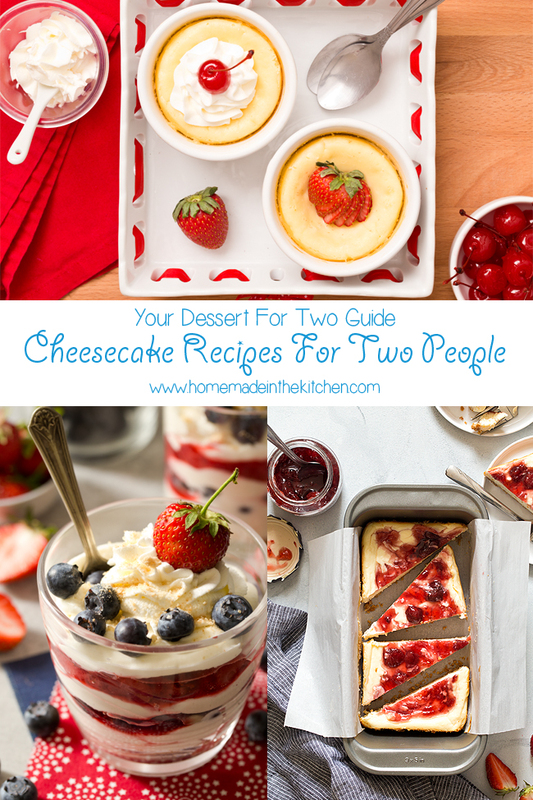 This guide will be updated as I post more cheesecake for two recipes. 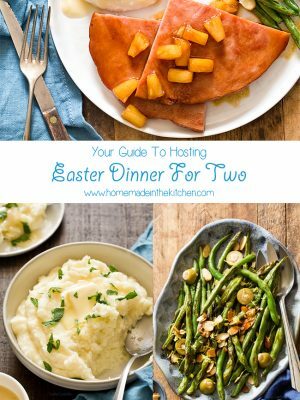 Bookmark this page or pin it to your Pinterest board and check back often! One question I hear a lot: Why is my cheesecake lumpy? Because your cream cheese and eggs are too cold. 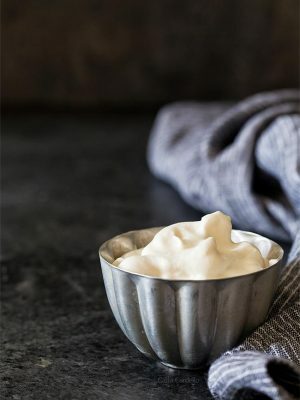 Let both the cream cheese and eggs sit on the counter until room temperature. Open the cream cheese packaging so it warms faster. It shouldn’t be cold to the touch. If it still feels cold, microwave it in small increments (without the foil wrapper!) until no longer cold (however, it should not be warm and melted). My cheesecake recipes have been tested numerous, numerous times without a water bath. It’s not needed, mostly because you’re not baking the cheesecake for a long time. Other recipes do require it, but usually they take over an hour to bake. The water bath helps with even baking so the cheesecake doesn’t dry out and crack with such a long baking time. If you’re really nervous about your cheesecake cracking, using a water bath certainly won’t hurt. But I’m here to tell you it’s not necessary for my recipes. My cheesecake recipes are still susceptible to cracking, but it’s due to user error. The reason your cheesecake may crack is you either overbaked it or your pan is too small. Overbaking cheesecake even by 5 minutes dries it out, resulting in a crack on top. It’s easy to do because you may think your cheesecake isn’t done. A finished cheesecake will be firm on top when touched (aka no wet batter) but will jiggle when shaken. It’s tempting to keep baking with the jiggle, but don’t do it. It’s also very important to use an oven thermometer to ensure your oven is indeed at 350F. My gas oven overheats by 25 degrees, so my cheesecake would be baking at 375F, resulting in a dry and cracked dessert. If your pan is too small, the batter rises to the very top (or even past it), then sinks and cracks as it cools. Please make sure you’re using the correct size, especially when it can easily vary such as with ramekins. If your cheesecake does crack, don’t worry! 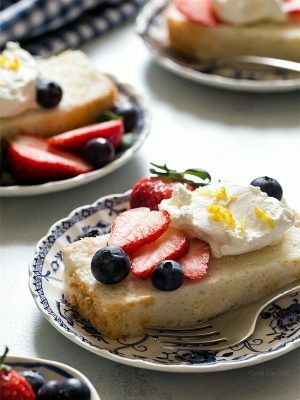 You can cover the top with homemade whipped cream or homemade strawberry sauce. 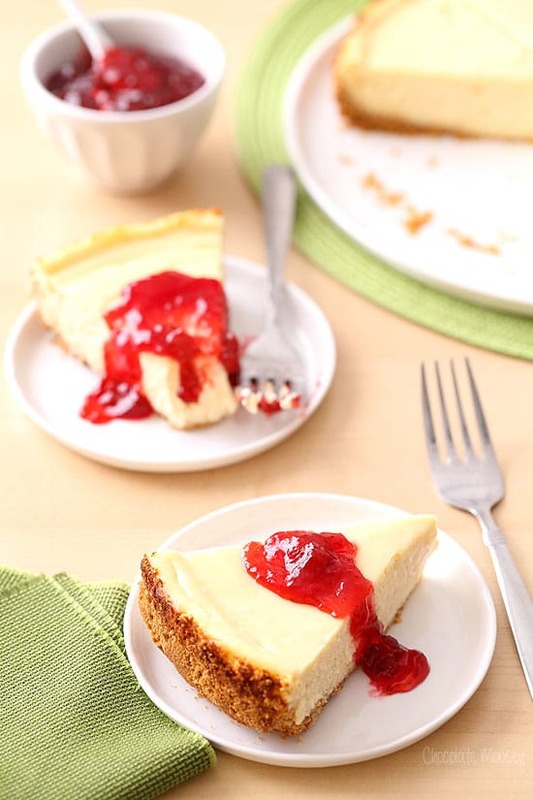 Ok now that we talked about the basics of baking cheesecake, let’s get to the recipes! 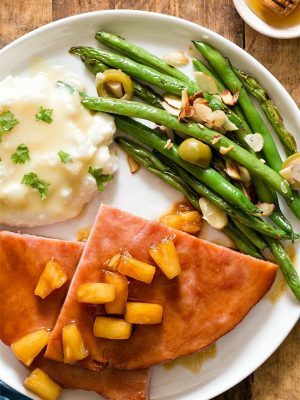 These recipes use a 4 inch springform pan, which is a round baking pan with a removable side. Cheesecake is too delicate to invert like you would with a cake, so it’s easier to remove the pan than it is to remove the cheesecake. 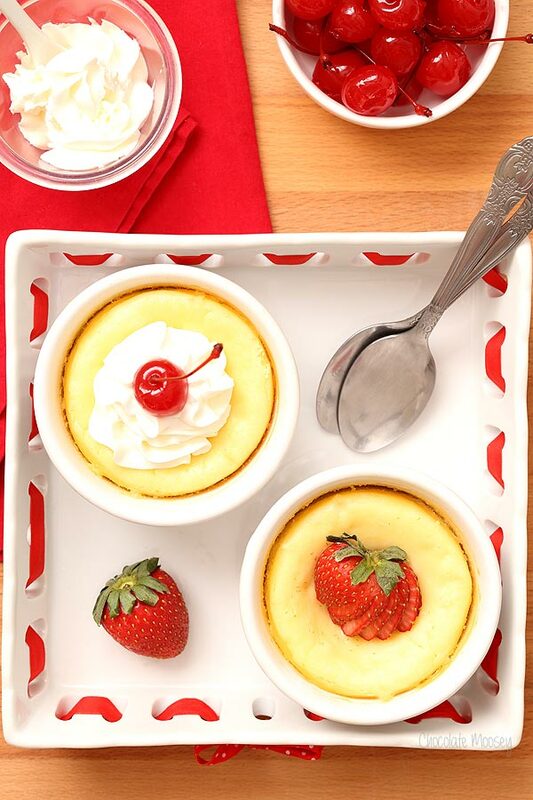 Baking mini cheesecakes in 6 ounce ramekins or jars is the perfect size when making dessert for two. You literally get one individual cheesecake serving per person. No more fighting over who gets the last slice! 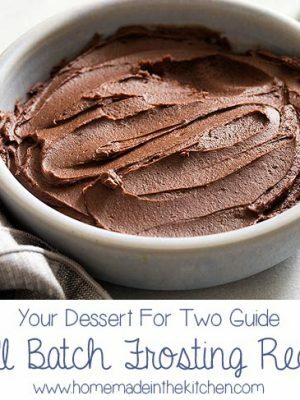 Sometimes it’s too hot to turn on the oven, yet you still need to get dessert for two on the table. 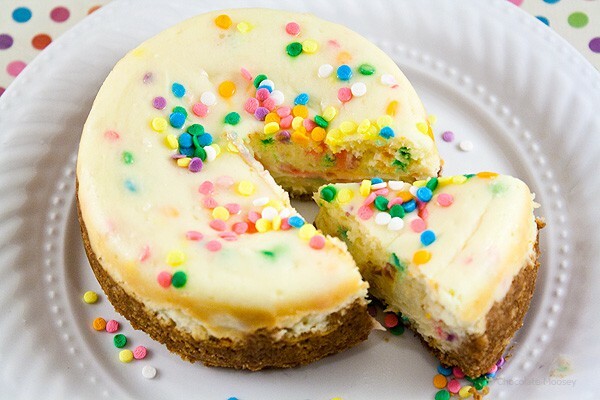 Thank goodness for no bake cheesecake! You can be more flexible with your serving dish because you’re not baking; therefore you don’t have to worry about pan size. 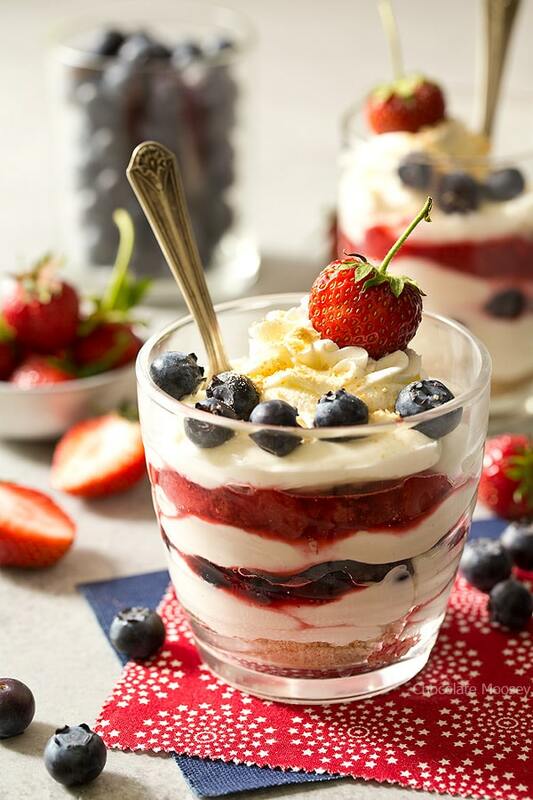 Some serving ideas are cups, jars, and ramekins. 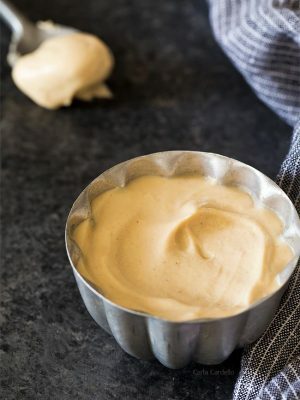 Using a 9×5 loaf pan is the perfect way to downsize dessert when the original recipe calls for an 8×8 or even a 13×9 pan. 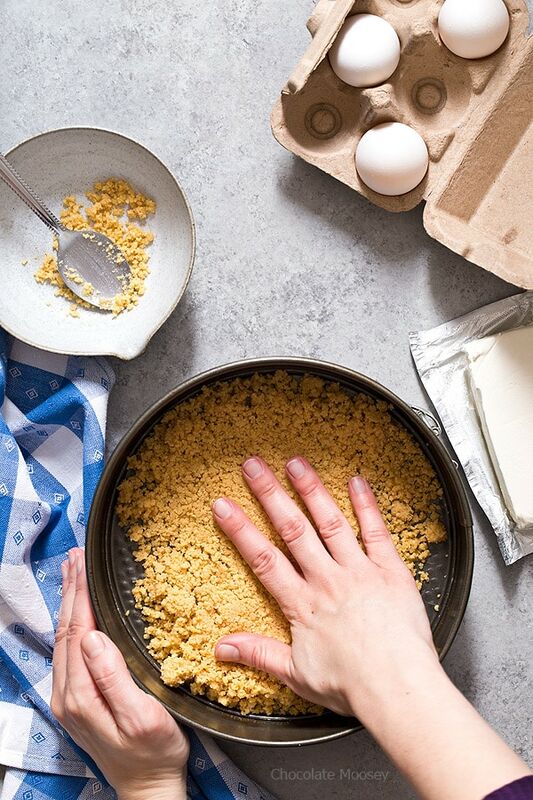 These small batch cheesecake bar recipes make a little more than 2 servings, but they’re still smaller than most recipes. 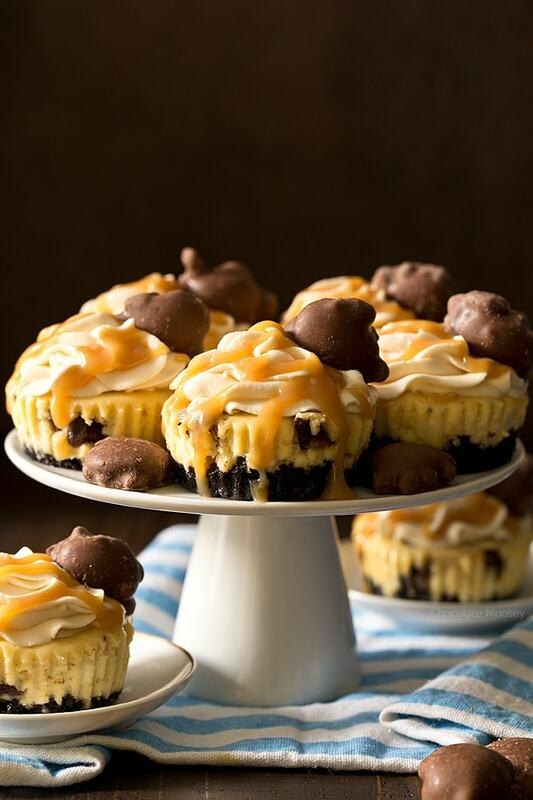 Another way to make individual mini cheesecakes is baking them in a cupcake pan. You can even dress them up using fancy cupcake liners. 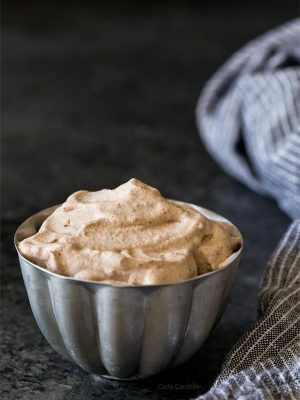 I love incorporating cheesecake into other desserts, such as dips, cookies, and even hot chocolate. 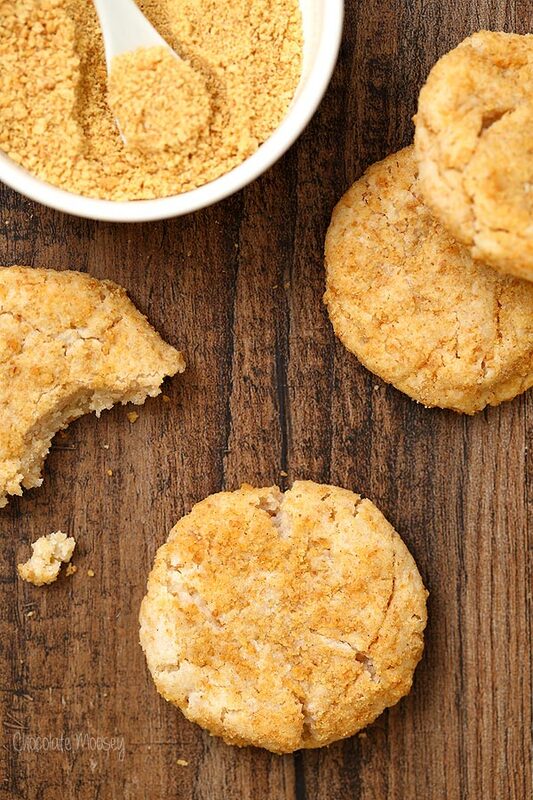 These recipes make a small batch. Ok I’m cheating with including my 9 inch cheesecake recipes since they are clearly bigger than 2 servings, but hear me out! Sometimes you need a birthday dessert for your office. Sometimes you’re hosting relatives for Thanksgiving dinner.